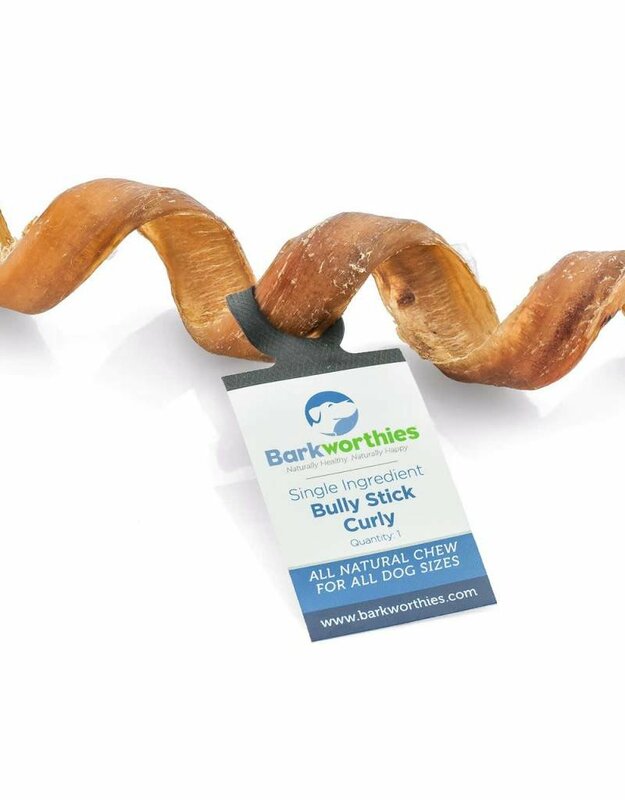 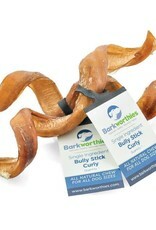 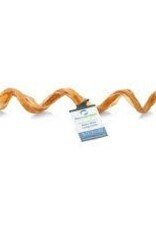 Barkworthies Curly Bully Sticks are shaped to add a change of pace to your dog's daily routine! 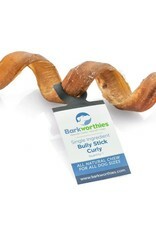 Dogs love the taste, aroma and texture of these all-natural chews which average 5 to 7 inches in length. 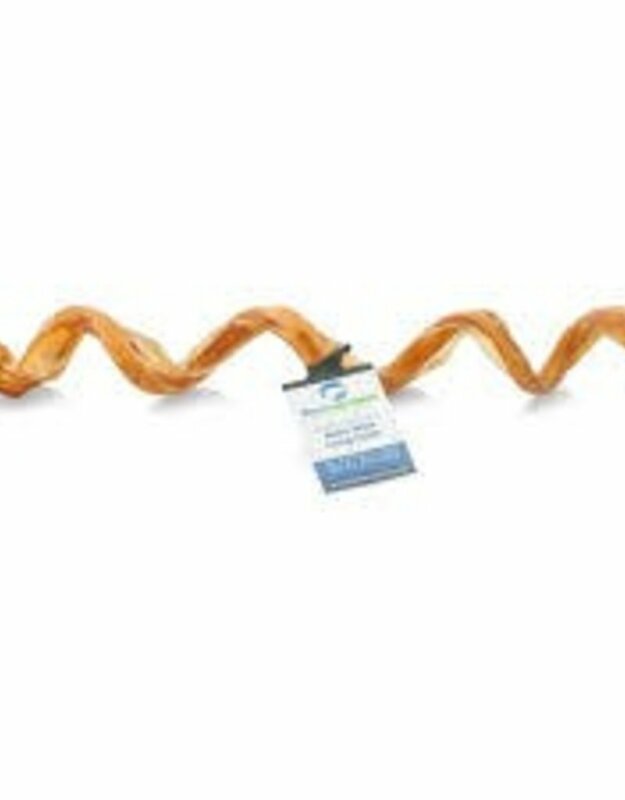 Crafted from free-range, grass-fed cattle, these chews are highly digestible, making them a great alternative to rawhide. 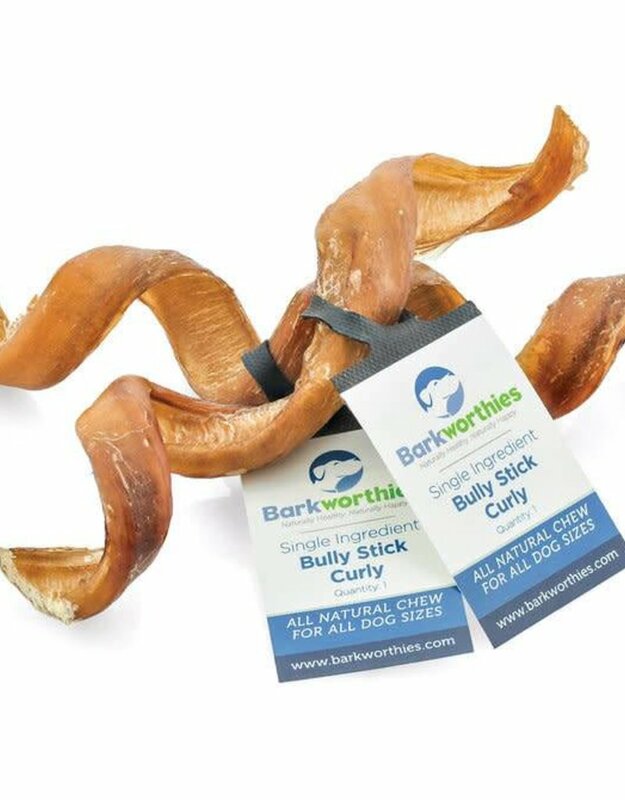 Plus, their unique spiral shape helps scrub teeth clean with every bite, promoting good dental health while helping prevent bad doggy breath.